This gathering gonna be in Malaysia Book of Records for The Largest Bloggers Gathering with Gatsby Deodorant Street Fair! 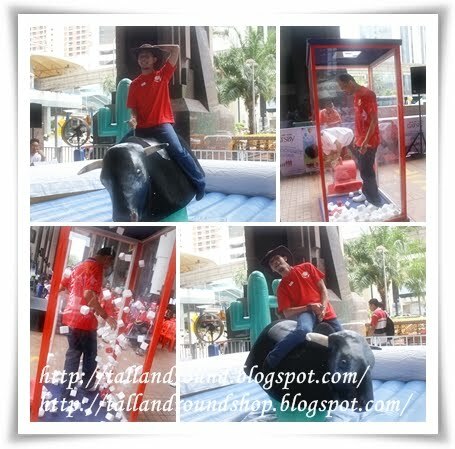 After that, we continued playing the games...ni I perkenalkan Zaffril! Ni plak Naimah tgh dok men macam ala-ala Gladiator! 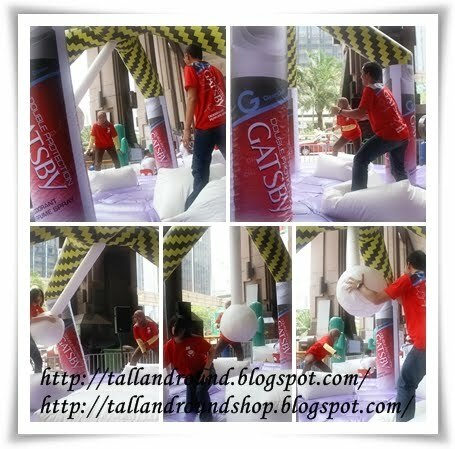 And no to forget...Million thanks to Gatsby & NuffNang for sponsoring the event! This entry was posted on Sunday, April 18, 2010 at 9:56 PM and is filed under Family/Friends, Movies / Entertainment, Nuffnang. You can follow any responses to this entry through the RSS 2.0. You can leave a response. uolss... blog si kaki panjang tu http://sitekateki.blogspot.com... dia add I kat facebook uolsss... hahahaha... serius... cun rambut dia tu... hahahahahah u tak resize pic??? naimah tu kan yg dapat lucky draw.. jeles aih! dD: Hi....ooo ok...will visit ur blog..:) Thanks for comment!